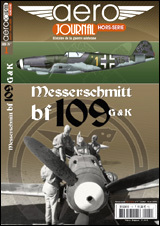 I get info few days before and today is public announced new booklet about the late war version of the Bf109G and K. This publication cost 11.5 Euro and inside is great number of images, drawings of all known version in scale and…. 50 color profiles I have made for this publication. More info get here on Aero Journal official web site. This entry was tagged Bf109. Bookmark the permalink.